Very colorful original artwork. Cute little girl in blue and adorable pink sheep in the background. 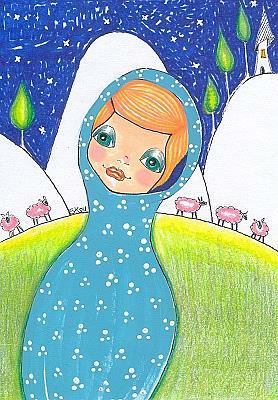 Original whimsical mixed media art by Sherry Key a.k.a. Skey on mixed media heavyweight art paper.